Getting so close to that 4:00 mark at Aspen Valley left me wanting a sub-4:00 SO badly. 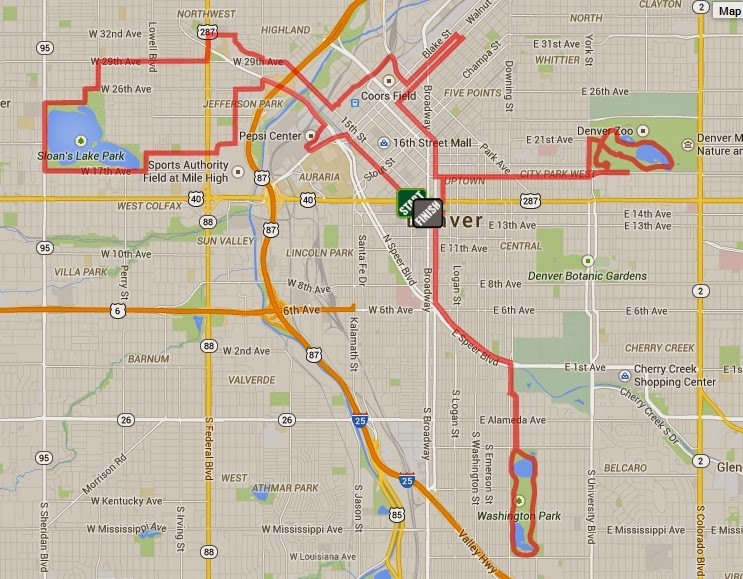 So even though I knew going into RnR Denver that the course was NOT flat, I decided to go for it anyways. And I payed for it. I went out too fast and I bonked. At mile 13. Yeah...it was a rough second half. But I'm getting ahead of myself. 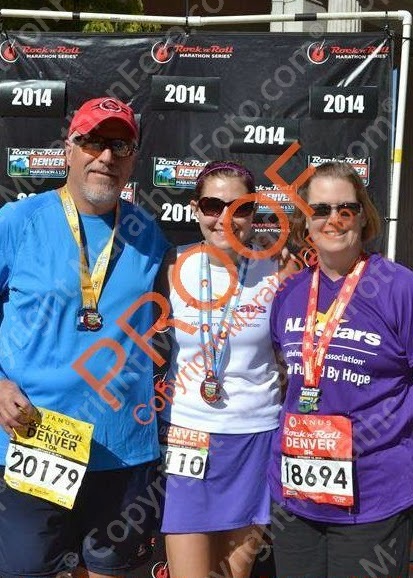 I signed up for RnR Denver back in the spring when the prices were low. I knew it was a big Denver race and I wanted to experience it. It is also the big "team" ALZ Stars race which I wanted to participate in (I ran Disney for the ALZ Stars, but did it independently). I left work early on Friday so I could get into Denver in time to go to the ALZ Stars pasta dinner. It was nice to finally meet everyone else on the team and the food was delicious. I also got a fun goody bag with various ALZ Stars swag and was able to decorate my T-shirt for the race. My dad was running the 10K and my mom was walking the 5K, so we headed to the Expo together on Saturday morning for packet pick-up. After working our way through the convention center, we finally found the expo and quickly got our bibs, drop bags, and t-shirts. The expo was the biggest expo I had been to after the Walt Disney World Marathon expo. They had a lot of fun shirts specifically for the race, but given that I've spent plenty on race stuff this year, I refrained from the high price tags before making my way towards all of the independent vendor booths. I was once again tempted to buy a new Garmin (they were offering 20% off! ), but I once again refrained on that as well (I was very proud of myself!). Maybe in another year. The only thing I ended up buying was a couple of headbands from Sparkly Soul - I follow another blogger who swears by these, so decided to finally give them a try (and wasn't disappointed - it stayed on the entire race!). After the expo, we made our way back to Broomfield where I got lunch with some friends before going on a wild goose chase for a purple Nike dri-fit sports bra - I really wanted one to go with my ALZ Stars purple ensemble. I finally found one at the 3rd stop (technically 5th if you include Runners Roost and the race expo which I had been too earlier that day). After that it was time for dinner, then I spent the rest of the evening getting all of my race day stuff figured out before heading to bed early. Flat Kate all ready to go! I was up at 4:15 on Sunday morning so we could leave by 5:15. I was following my parents in my car, as I wanted to make the drive back to Grand Junction straight from the race since it's a lot closer to get onto I-70. We ended up finding parking pretty easily in a parking garage only about 2 blocks from the start of the race. Once we made it to the start we walked around for a little while before my dad left to catch the shuttle for the 10K. From there, my mom and I went looking for the Gear Check and then made our way to the Greek Theater where both the ALZ Stars and the Marathon Maniacs would be doing pre-race team photos. I really got into the ALZ Stars spirit with my outfit! Still very dark before the start! By the time the team photos were over it was 7:00. The race was scheduled to start at 7:15, so I was kind of in panic mode about still having to turn in our gear check back and wanting to use the restroom one more time. Luckily my mom volunteered to wait in line for gear check and I rushed off to the bathroom line. I finally made it through the bathrooms at about 7:12. Cutting it much closer than I typically like to, that's for sure. 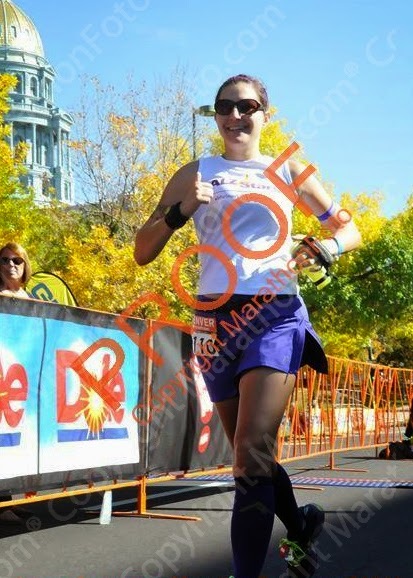 I ran over to the corrals which were a NIGHTMARE. Since my goal was to run sub-4:00, I had my corral changed to 5, which was the 3:59 cut-off. The 4:00 pacers were supposed to be in Corral 6, but they were in the middle of 5...which I couldn't even get close to. There were SO many people you couldn't even get into a corral, everyone was just crowding around outside of the corrals...this would be interesting. The start was delayed by about 5 to 10 minutes.Once it did finally start, it took several waves before corral 5 finally started moving enough to squeeze into the corral. Finally our wave got to start. I was still a ways back from the 4:00 pace group, so I tried to work my way towards them. The first mile was extremely congested, but I still managed to hold a pretty good pace and catch up with the pace group. I settled in to running right behind them for the first couple of miles until the first aid station. Once we reached the first aid station I passed the pace group since I had my handheld water bottle. This worked out nicely because there was a bit of a hill right afterwards so I felt like I could slow down on it and take my time. I spent the new few miles varying from in front of to slightly behind the pace group. After crossing over I-25, we continued towards Sloan Lake and around the lake. This was slightly different than the Colfax Marathon course in that we stayed on the roads as we went around the lake vs. running the paved pathway around the lake (I think I liked the Colfax version better for this section). I believe it was around mile 8 that we passed the start of the 10K as we headed back towards Denver and over I-25 again (different bridge this time though). We did a little out-and-back section which headed north of downtown before heading back towards the start/finish area where we would soon be splitting off from the half marathoners. I was still keeping up with the pace group, but I was starting to doubt whether I was going to be able to hold this pace for the rest of the race. Just after mile 12 we split off from the marathoners. And this is pretty much when everything went BLAH. From before I even started this race, I was concerned about the fact that the marathoners start and run with the half marathoners (all other races I've done like this, the marathoners start about 1 hour prior to the half-marathoners, making finishing times a little more even). This was probably was my first mistake. I think I put too much thought into how awful it was going to be, and so by default it was awful. It was just mentally tough to know I was not even half-way done, and yet 75% of the people I was running with were almost done. 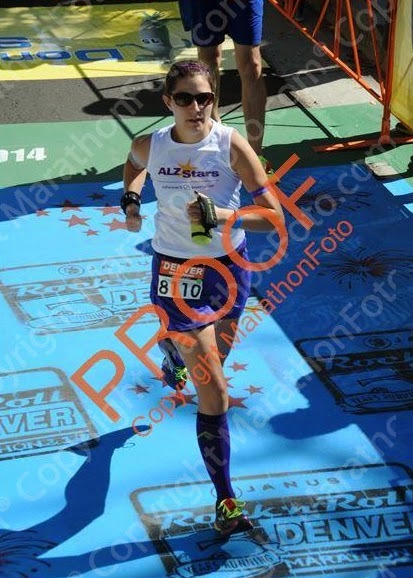 What really didn't help were the spectators shouting "almost there" at Mile 12....Yeah, not even close for us. And then of course the hype was just gone. We went from TONS of racers and TONS of spectators to barely anything. It was tough. Around mile 13 is when the pace group started slowly slipping away. I tried to tell myself I could keep up, and really tried when one of the pacers passed me catching up to his co-pacer after stopping for a restroom break. But I just couldn't do it. I slowly saw the pace group slip away until I could no longer see them. That is when my pace really suffered. It was also right as we went through City Park. It was interesting running through City Park on this course. City Park is the start and finish of the Colfax Marathon, so I figured it would be fun to run through, but it was honestly the most boring part of the course. There were no spectators, and barely anyone else in the park other than the racers. They had one band before you turned into the park, but that was it. After going around City Park, we did an out-and-back section where I saw the 4:00 pace group for the last time. After the "out" portion of the out-and-back we headed back towards downtown until going past the capitol and then heading south towards Washington Park. We were running somewhat close to the finish area, so there beginning to be more spectators again which was nice (although there were also a TON of half-marathoners all nice and finished with their medals). My pace had SIGNIFICANTLY slowed by this point. I had been running 8:40-9:10's for the first 12 miles. I managed 10's through City Park, but by now I was running miles in the 11:00 range. It was tough. I knew I could finish though, even though it was tough. The route to Wash Park is a lollipop - out towards the park, and then a loop around the park, and then back via the same route we went out. As I was heading to the park I could see the 3:15 pacers. Wow they are fast! There was a lady handing out slices of banana's somewhere around mile 19, so I grabbed one and thanked her. I get so tired of gels, I really wish more races had banana's (or at least some kind of fruit)! I continued on...slow as ever, but still going. As I got into Wash Park the run/walking started. The problem with this though was that it was hard to get started running again after I stopped. There was an aid station somewhere around 22ish miles when the 4:15 pacer passed me. When I had first started slowing down back at City Park, I had thought about trying to at-least run under 4:15. Unfortunately as the day got hotter and I got slower, I had a feeling it wasn't going to happen - and as they passed me, I knew it wasn't going to happen. However, I did think I could at least do under 4:30 if I just didn't walk too much. So I continued on, running as much as I could. One guy recognized me from Instagram (I had posted my outfit on Instagram the night before). That motivated me a little to keep running - didn't want to look like a wimp :). Finally I was out of Wash Park, which meant I was on the home stretch! Just had to make it back to the finish line. There was a medical tent that had iced washcloth's and vaseline. I was starting to have some chafing on my underarms (every time I wear tank tops! ugh), so the vaseline was a welcome sight! I also of course grabbed one of the ice washclothes. It felt amazing. The temperature for this race honestly was pretty good overall. It didn't start to get hot until the last hour. At around mile 24 there were some girls giving out kit-kats! I was SO excited! I thanked them tremendously as I kept running. It might have been mental, but I seriously think that chocolate is what gave me some extra energy to get me through the last 2 miles. I picked up my pace a lot, only walking the last hill that was around mile 25 (a very short but steep hill). 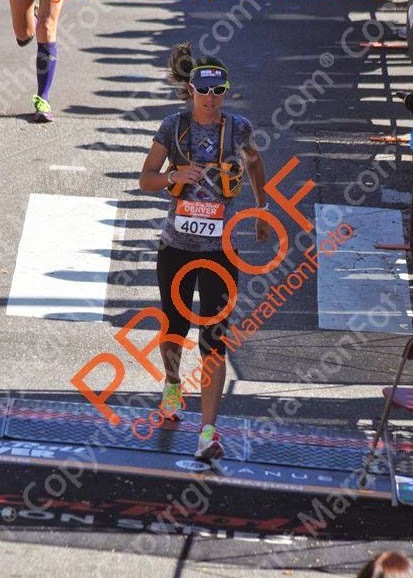 Once I got over that hill, I told myself no more walking and ran the rest of the way, sprinting as I got towards the finish line where I finished in 4:27:11 - just barely slower than my first ever marathon. Check out my legs in the top left, haha. 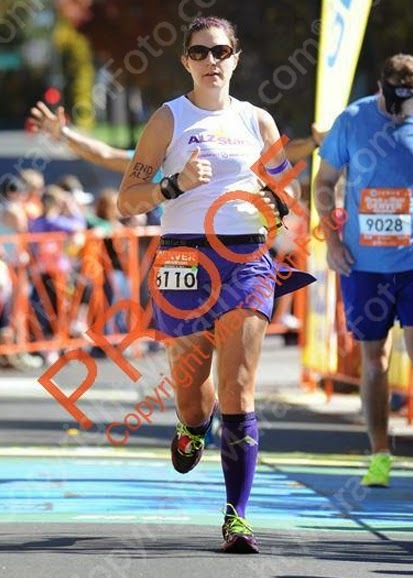 So overall, it was tough finishing this as my slowest road marathon - especially as my last big race of the year, but I was running this for the ALZ Stars and for my grandma which is what matters the most. And at the end of the day everyone who goes 26.2 miles and crosses that finish line is a marathon finisher no matter their time! I'll be honest, it's hard for me to give this race a positive review because of how tough the second half was mentally and physically. It also probably doesn't help that I went into this race with extremely high expectations. Rock-n-Roll races are put on by a huge corporation that puts on these events all the time. And so because of that, I assumed everything would be really well organized, and yet it didn't seem to be. The corrals were a nightmare, I only saw ONE aid station with gels on the course (granted, I could've missed one, but still). One - over 26.2 miles? Really? The website also clearly stated that the race would have 7 different timing splits, but they only had 4 and did not even have a half-marathon split time. I really wanted to know how fast I ran the first half in, but they went from mile 10 to mile 23 without a single split update. And then of course as I mentioned before I didn't like the logistics of having the half-marathon and the full marathon starting together. It just seems weird, and seems like it would make more sense to have people finishing closer together than starting together (and this would definitely help with the corral congestion as well!). One thing, that may be touchy to some people, and so I will preface by saying that I definitely agree that completing a half-marathon is definitely a great accomplishment (after all, it wasn't that long ago that running a half-marathon used to seem impossible for me), but it really frustrates me when the shirt and medal are exactly the same for both the half-marathon and full marathon. I really think the full marathoners should at least get a bigger medal. I mean, it is DOUBLE the distance and at least double the time. I just feel like they catered the whole race towards the half-marathoners whereas the full-marathoners were an afterthought. The one positive I will give this is that I did like the course. Despite a few sections not having a lot of spectators and so seeming boring, I liked the route better than I liked the Colfax Marathon route. However I would probably still rank Colfax over Rock-n-Roll as a whole. -Despite not liking the size of it, I did like the finishers medal and it's colorado theme! Awesome design. 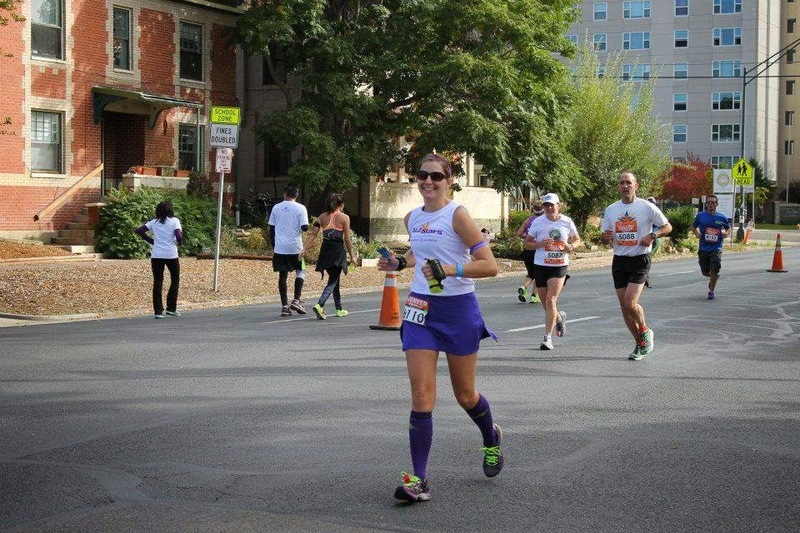 -I like how they offer so many different race distances to cater to lots of different people! It was fun to have my parents race too! -My Spi-Belt waist pack - I just bought this to fit my new iPhone 6 and it worked perfectly. It is the first waist pack I've found that doesn't bounce! -My Sparkly Soul headband - finally a cute headband that doesn't slip off my head! -Corrals were a nightmare. Not even half of the people who were supposed to be in a designated corral could actually fit in the corral...this isn't a first year event, so I feel like they should know how big they need to be. 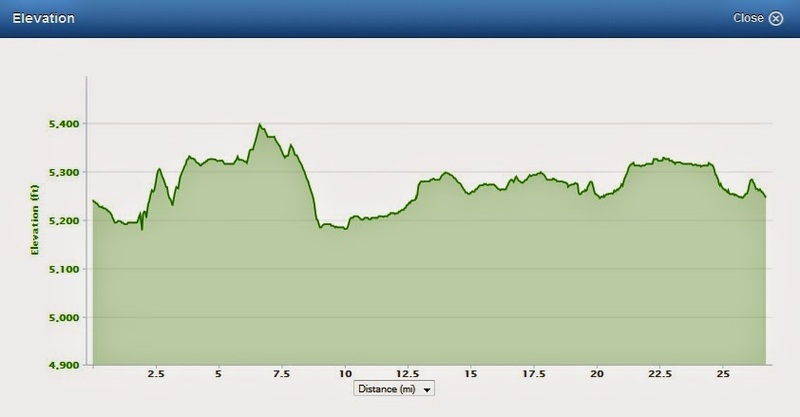 -The way the course logistics are designed makes for a tough second half (mentally speaking). -Medals and shirts are the same for the Half-Marathon as they are for the full. -Food: only GU on the course, and I only ever saw ONE aid station with it. Why can't more races get bananas? AND everyone knows you need more than 1 gel for a marathon. 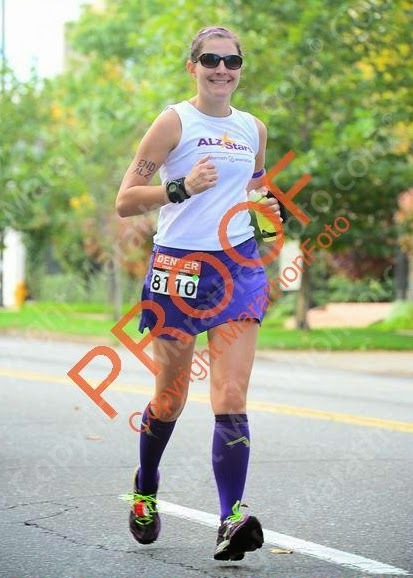 THANK YOU so much to everyone who donated to the Alzheimer's Association on my behalf! Thanks to you I reached my fundraising goal of $750.00 - so I really, truly appreciate it! 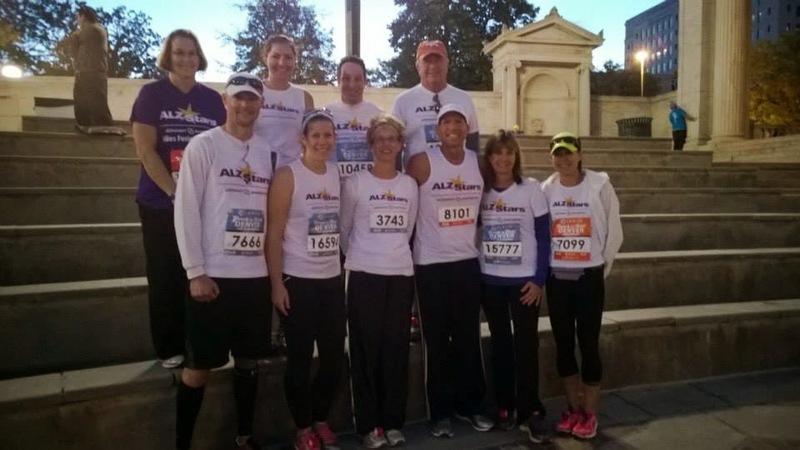 And if anyone is still interested in donating, please donate to a fellow ALZ stars team member David Knapp who is still working towards 50 Marathons and $50,000: http://act.alz.org/goto/DavidKnapp. Last - just a quick reminder that my giveaway for a race medal and bib display is going on through the end of tomorrow! To enter see the last part of my previous post!